People all across the world keep Goldfish as Pets. They are fun to watch and cheap to buy, but even so it can be disheartening when you try to take care of your fish, and it just seems to die. 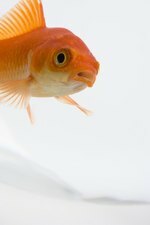 Whether you are new to fish in general or you just don't have much experience with Goldfish, these steps can help anyone keep a goldfish alive and happy. An important aspect to keeping any fish alive is the quality of the water. If you have a goldfish chances are it lives in a bowl or small aquarium which can be hard to maintain. Lucky for you, Goldfish can be very durable. Goldfish do best in regular tap water at room temperature. (More specifically anything between 60-80 degrees Fahrenheit will work.) Often times the only barrier to tap water can be chemicals found in your water. The biggest chemical you have to watch out for is chlorine. You can call your water company and inquire if your tap water contains chlorine, or if you think it's not worth the time, you can buy drops from the pet store for about $5 that will remove the chlorine. Once you have the water safe for your fish, be sure to change it regularly. It will help keep your tank cleaner if you put a little of the dirty water into the new water (Bacteria that decompose fish waste will be in the old water). After you have plenty of water make sure you have the right kind of food. What is the right kind of food? The correct answer is anything your goldfish will eat. Some fish prefer flakes, some prefer pellets. If your goldfish is eating what you feed it, worry no more. If your fish doesn't, it might be a good idea to ask the pet store what they fed the goldfish before you bought it. Feeding the goldfish can be a bit tricky, especially since directions are usually very vague and simply state feed several times daily. I have found that a very small amount two or three times a day works best and will keep your fish happy and not too chubby. Be careful not to overfeed your fish, Goldfish will eat as much as you give them. Last make sure your fish is happy-if your fish is happy it will be healthier. How can you tell if your fish is happy? If your fish is happy it will get excited when you feed it, and often swim faster when you approach the glass. Keeping your goldfish happy can be a tricky matter, and often your options are limited. One thing you can do is to get him a friend. Goldfish tend to do better in pairs, and they like to play with other fish and decorative scenery. You should also make sure your fish is exposed indirectly to sunlight. Goldfish are happier when they get to see the sun, so place them accordingly. If you keep the water clean, feed it right, and keep him happy you should be well on your way to a fun, happy, and hopefully long-living goldfish!